Steve Jobs' Response on Section 3.3.1 Lately there's been a lot of news about how Steve Jobs is personally replying to emails. One developer wrote to him regarding the controversial new iPhone developer SDK 3.3.1. What follows is an enlightening back and forth that we've not heard of from more traditional news outlets on this topic. Video Chat Coming To The Next iPhone? All Signs Are Pointing To Yes With a new version of the iPhone hardware most likely coming sometime this June, there has been a lot of speculation as to its features. One often wished for item is a forward facing camera that would allow video chat. A Calm, Reasonable Argument Supporting Apple's Anti-Flash SDK Language Seeing how last week's announcement of the updated iPhone developer SDK 3.3.1 caused such a commotion, it's not unusual to see so many articles on-line about it. Here is one possible explanation as to why Apple chose to exclude Flash and other 3rd party development tools. 10 Amazing Musical Instrument iPhone Apps Since the App Store doesn't have a dedicated section devoted to musical instrument apps, this article offers a sampling of some of the more amazing ones. Apple To Drop Support For The First-Generation iPhone From a personal reply from an email sent to Steve Jobs himself, it seems that Apple will no longer be supporting nor updating the iPhone 2G in the future. A brief assessment of Job's iPhone defense Another article weighing in on the motivations behind the recent update to the iPhone developer SDK 3.3.1. AppsFire Hands Out iPhone / iPad App Star Awards (Videos of the Winners) At the recent 360iDev conference in San Jose, AppsFire awarded developers of unlaunched iPhone and iPad applications. Opera Mini iPhone App Gets Apple's Stamp Of Approval Since Apple has long held the stance that applications that duplicate the functionality of built-in applications on the iPhone were verboten, it came as a surprise to many that they would approve the Opera Mini iPhone web browser application. John Gruber: Apple Was Right, Adobe Get Over It [Video] In yet another article covering the fallout from the recent changes to the iPhone developer SDK 3.3.1, the developer whose original posting about it which was then referenced by Steve Jobs himself in an email discussion is interviewed. The 8 best iPad apps -- so far Seeing how the iPad is fairly new, here is a list of some of the better applications that are out for it so far. Beat the crap out of fruit with Fruit Ninja on iPhone This innovative new game that uses the touch controls of the iPhone in an interesting way will be out on the App Store April 21st. The iPad isn't a computer, it's a distribution channel More insightful analysis on the direction Apple is taking with the iPhone and iPad going forward. iggy investigates an iPad It may be expensive for a cat toy, but this cat sure seems to be interested in the iPad. Ars Technica Reviews the iPad A VERY in-depth analysis of the new iPad. Highly recommended if you're deciding on whether or not to purchase one. Follow-up video interview with Dan Grigsby on the end of Mobile Orchard While I'm sad to see Dan leaving iPhone development and shutting down Mobile Orchard, especially since it was his main source of income, I look forward to what he'll be doing next. 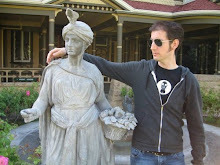 Based on his past history, he has always been working on cutting edge stuff. In this interview he elaborates on his post from last Friday where he announced his decision to leave. iPhone Development: Can We Stop with the "Evil" Thing? Jeff LaMarche, a leading iPhone developer and author, weighs in on the controversy surrounding the recent update to the iPhone developer SDK 3.3.1. The world waits on iPad 'cause we bought them all Due to the unexpected demand for the iPad here in the United States, the rest of the world is going to be getting their iPads a little later than originally scheduled. GDC Online Organizers Announce iPad, 3D, iPhone, Game Narrative Summits GDC Online (aka GDC Austin) has announced the iPad, 3D, iPhone, and game narrative summits that will be taking place this October. Rally Up Brings "Real Friend-Focused" Location Based Social Network To The iPad For the more privacy minded user, Rally Up provides an alternative to existing location based services that only shares your location with people you know personally. TouchArcade 360iDev Game Jame - A Night to Remember 360iDev recently held an overnight "game jam" where iPhone developers got together to work on their game ideas from scratch. The following article describes what it was like and highlights some of the games that came out of it. Awesome c64 iPhone App Stays Free, Gets Update The popular Commodore 64 iPhone app will now be free without reverting back to being a paid app and it will be getting an update soon. 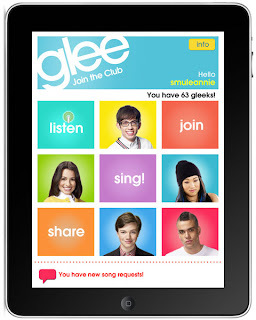 "Glee" Gets an Addictive iPhone and iPad App Smule, makers of the popular Magic Piano app, have launched a new karaoke-like application that allows you to sing along with popular songs that have been featured on the popular "Glee" television show while allowing other users from around the world to listen in.